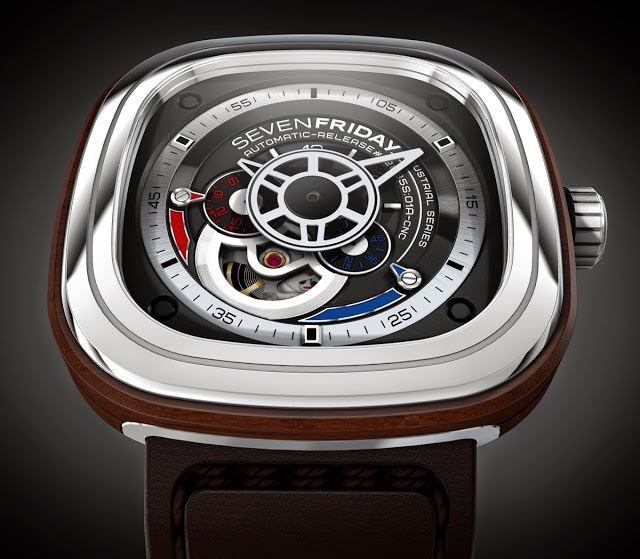 Founded only last year by Daniel Niederer, formerly an executive with SA Desco and DKSH, SevenFriday is a small Zurich based maker of funky and affordable timepieces which have sold very well in a brief period of time. 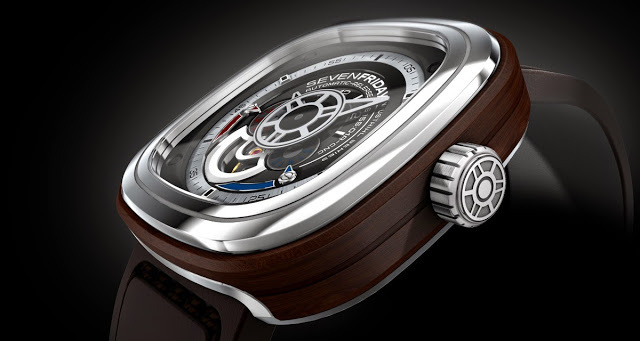 The brand’s first limited edition timepiece is the P3/2 Riviera with a wood case ring, which Niederer has nicknamed “Woody”. 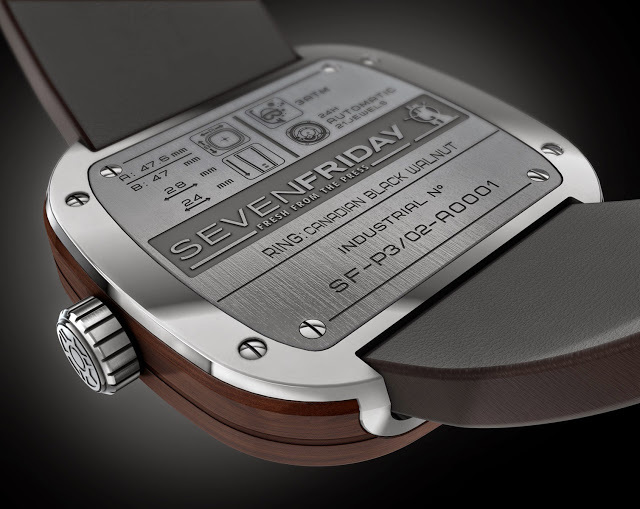 So far SevenFriday – the founder wishes every day was a Friday – has only launched a single model, a distinctive, cushion-shaped timepiece, available in different guises as the P1, P2 and P3 respectively. The last model is the base for the new P3/2. 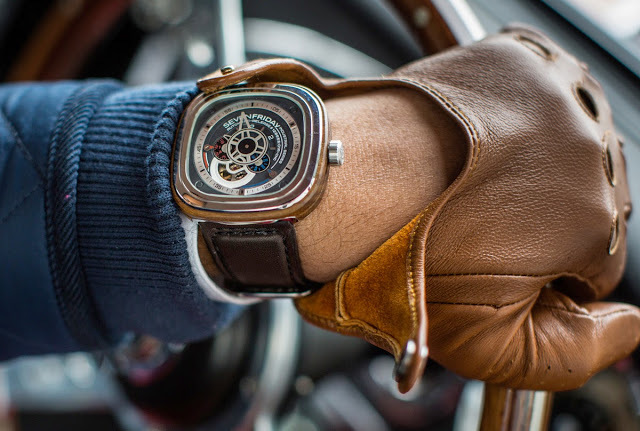 The P3/2 has a steel case measuring 47 mm by 47.6 mm, framed by a ring made of Canadian walnut made by an Italian craftsman based in South Tyrol. For protection against the elements, the wood ring has been treated with oil (probably Linseed oil or something similar). For longevity I assume the wood will need periodic treatment with oil. 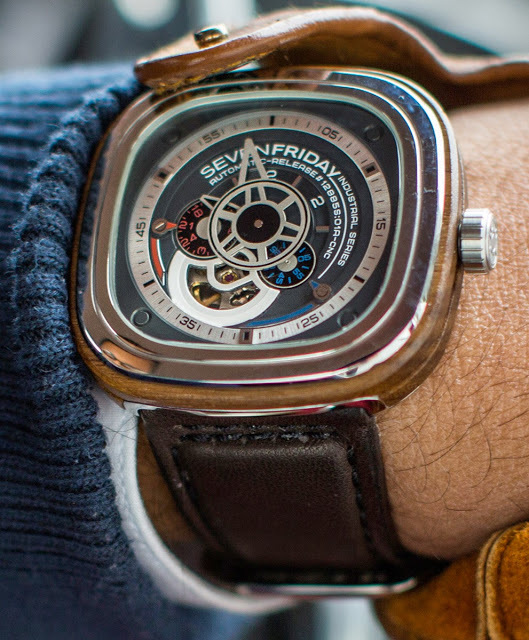 Like the other SevenFriday models, the P3/2 has an multi-layer dial with an exposed balance wheel. 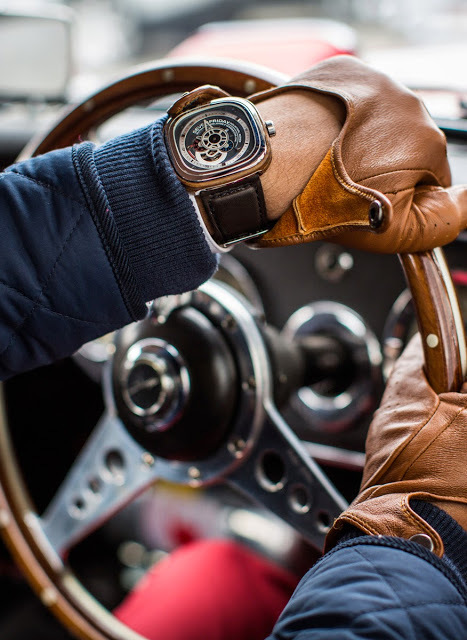 It is an attractive and clever design which gives the impression of being an complex time display but are actually just conventional hour, minute and seconds hands, along with a 24 hour indicator which is linked to the hour hand and not adjustable. 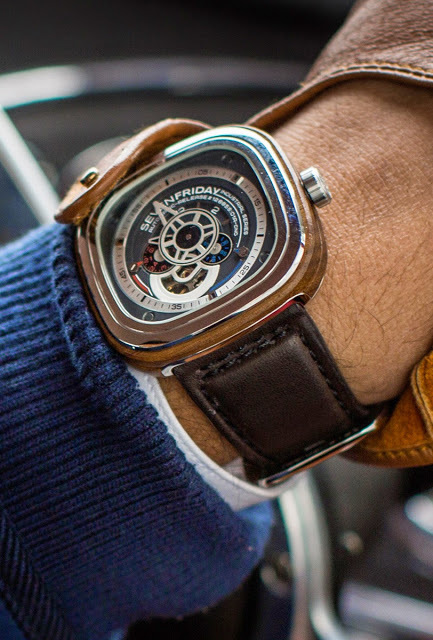 The movement is an automatic from Miyota, a subsidiary of Citizen which makes low cost movements.